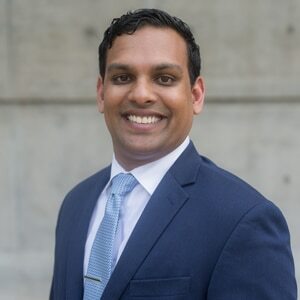 Rajeev Sunkara is an associate attorney at Varghese Summersett, a prominent criminal defense firm located in Fort Worth, Texas. Rajeev is experienced in representing clients with a wide variety of charges ranging from state to federal offenses, including drug charges, administrative license revocations, parole restitutions, and fraud. He also handles white collar crimes and is a member of his firm's premier asset forfeiture team, fighting the government's seizure of money and property. Rajeev provides diligent representation to each and every client. Varghese Summersett is a North Texas defense firm that defends all types of criminal cases, ranging from DWI to capital murder. We handle state and federal cases, as well as expunction, non - disclosures, appeals, and parole matters. Our attorneys bring together over 90 years of experience of criminal law cases and have tried over 500 cases in front of Texas juries. All of our attorneys will make themselves available 24 hours a day, seven days a week. You will never be treated like a number at Varghese Summersett.